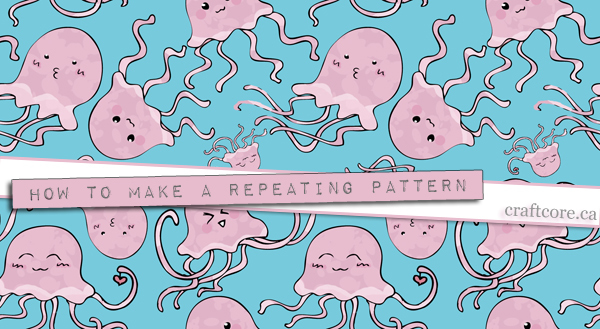 Creating a repeating pattern that doesn’t look obvious may seem like an arduous task, but it is not as complicated as it looks. 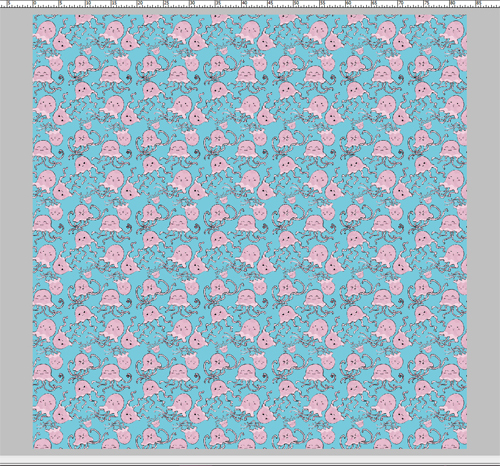 With Photoshop and a little patience, you can turn a drawing into a repeating pattern to turn into a fabric on Spoonflower or even a website repeating background image. Remember to save your progress often! 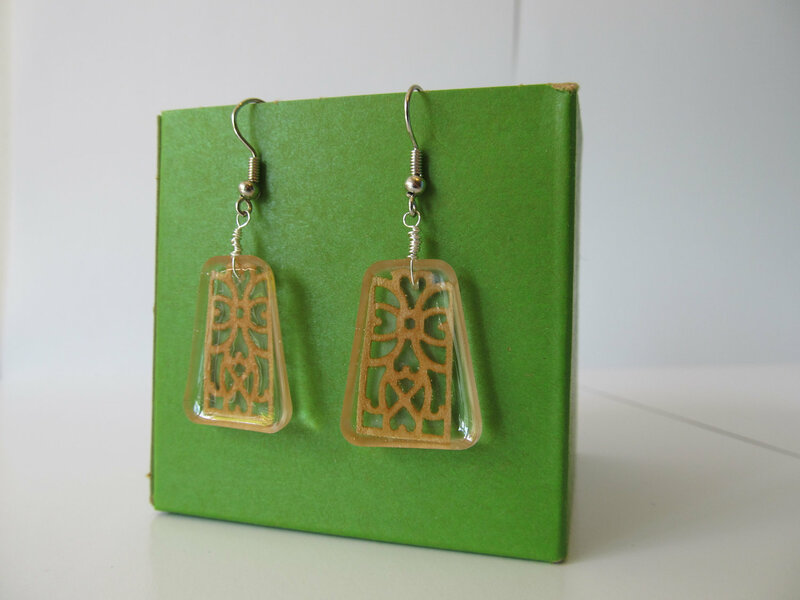 First, you’ll need to create a base drawing for your repeating background. 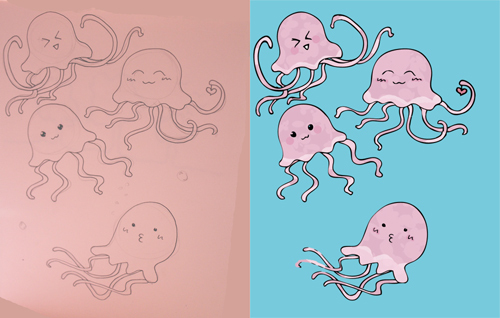 I drew these little pink squids for my fabric design. The key is to make sure that nothing touches the edge of the paper. I’m not great at colouring on paper, so I scanned it into Photoshop and coloured it in on the computer. 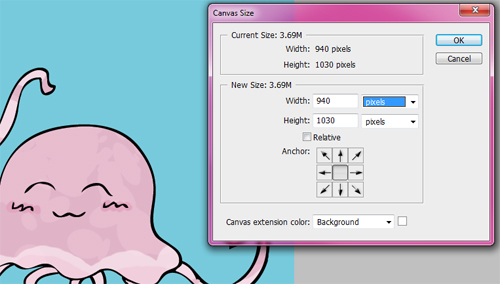 Check the size of your image by choosing Image > Canvas Size. Make sure the units are in pixels. Take note of the width and height, and divide each measurement in half. 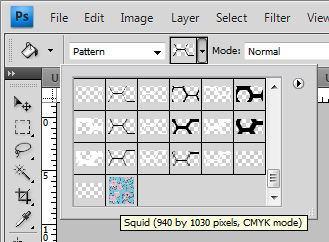 In the case of my drawing, it was 940×1030 pixels, which resulted in a measurement of 470×515. Cancel out of this Canvas Size box. Navigate to Filter > Other > Offset. Type your width offset in the horizontal box, and the height offset in the vertical box. Make sure that the “Wrap around” radio button is selected. This will shift your drawing so that instead of it being centered, it will be in each of the four corners that will repeat nicely. You will have space in the centre of your canvas that you’ll now want to fill up so that the repeat is not as obvious. Open up a second copy of your drawing. Use the selection tool to isolate an element from the original drawing. Paste this element into the space in your repeating pattern. Repeat as necessary until the area is filled. 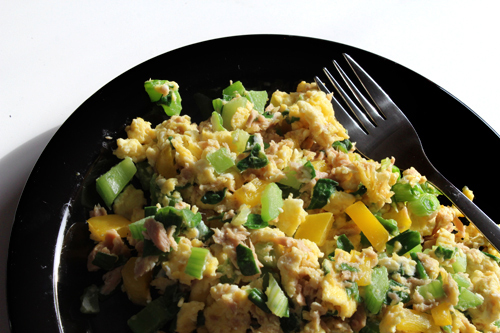 You’re almost done, but you’ll want to test that the pattern repeats nicely. 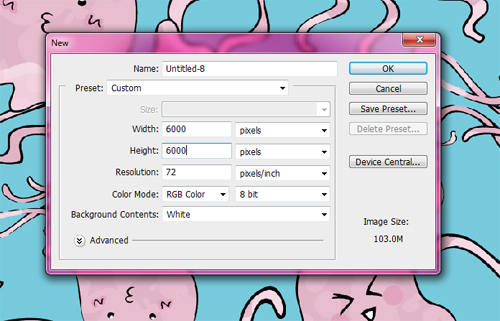 Select the entire drawing by pressing CTRL-A, or navigate to Select > All. Navigate to Edit > Define Pattern. Name the pattern whatever you’d like. Create a new, large document to test the pattern in. You’ll want it to be at least four times as large as your design. I chose 6000×6000 pixels. To use the pattern, select the paint bucket tool. Make sure that the drop down choice is “Pattern,” not “Foreground.” Your new pattern should be among the patterns in the palette. Choose it, then click anywhere on your canvas to fill your screen. Ta da! You can test out your pattern and watch for any obvious gaps or other weirdness. Be sure to pan the image, zoom in and out, and really look at what you’ve created. 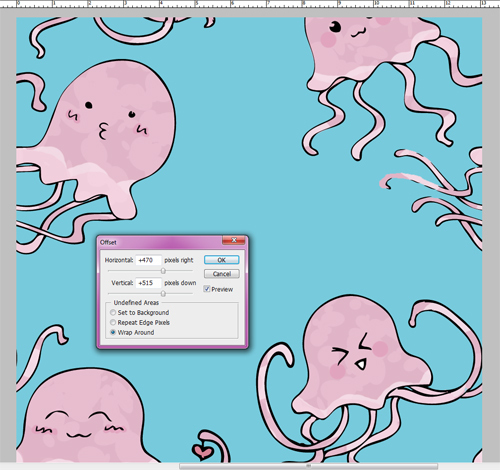 In my situation, I didn’t quite like the placement of one of the squids, so I went back to my design and adjusted that layer before saving my final copy. You can discard the test canvas and save the design as a high quality JPG. If you think you’ll make further adjustments, make sure you save a layered PSD file as well. 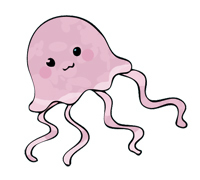 You can visit my Spoonflower store or browse through my designs. 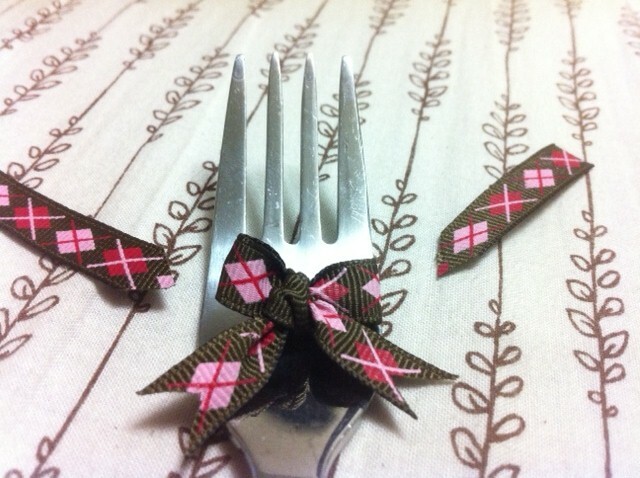 This is a great tutorial, but my comment is about Spoonflower. I bought some fabric from them at premium prices only to receive dull, faded, not suitable for what I wanted fabric. The colors were not even close to the online images. Blacks were a charcoal gray, blues and greens looked like they had been bleached a few times. I won’t buy from them again. I wrote to them and never even received a reply.